Tokyo clinches pole position for a wide variety of 'best in category' awards - safety, access to entertainment, friendliness, public transportation - you get the point. It's also pretty much impossible to run out of things to do in Tokyo as the city embodies a 'never sleep' approach to life between its seedy backstreets and gleaming high-streets. This is the Travelcene City Guide to Tokyo. Its pretty much impossible for everyone to agree on one single thing that best describe' Tokyo, and therefore, the city is perhaps a reflection of what you want it to be precisely because it excels at everything. Love visiting cultural sites? Tokyo has 77,000 temples. Need to satiate your tastebuds after a bland dose of airplane food? Tokyo's restaurants are world class with 302 establishments holding Michelin stars. Gotta do some intense shopping? You’ll probably take a full week to fully cover the mega-district of Aoyama, Omotesando and Harajuku. Looking to sample some of Tokyo's nightlife? You'll be spoiled for choice. Indeed, you're never going to have a bored 'what to do in Tokyo' moment. Tokyo is also (and for good reason) the choice city for Western brands looking to set up outposts in Asia. Think Fuglen from Norway, Mikkeller from Denmark and Blue Bottle from California. On the retail scene, Need Supply from the US and Dover Street Market from London are both blazing paths in their respective districts albeit with a refreshing and unique Japanese twist. Seek these out and we promise that you won’t be disappointed. Tokyo is generally an excellent place to visit year round but it’s best to plan your trip with certain seasons or festivals in mind. There are however, two periods that you may want to avoid. The first would be Japan's ‘Golden Week’ which lasts between April 29 to (around) May 6. Many shops and restaurants across the country deliberately close during this period and hence, its natural that locals and domestic tourists would be out and about. This however, coincides with Japan's famed cherry blossom season which some consider to be the best time to visit Tokyo. The second coincides with the end-year festive periods of Christmas and the New Year as many restaurants and shops WILL BE closed, often starting from Dec 28 and lasting until Jan 3. 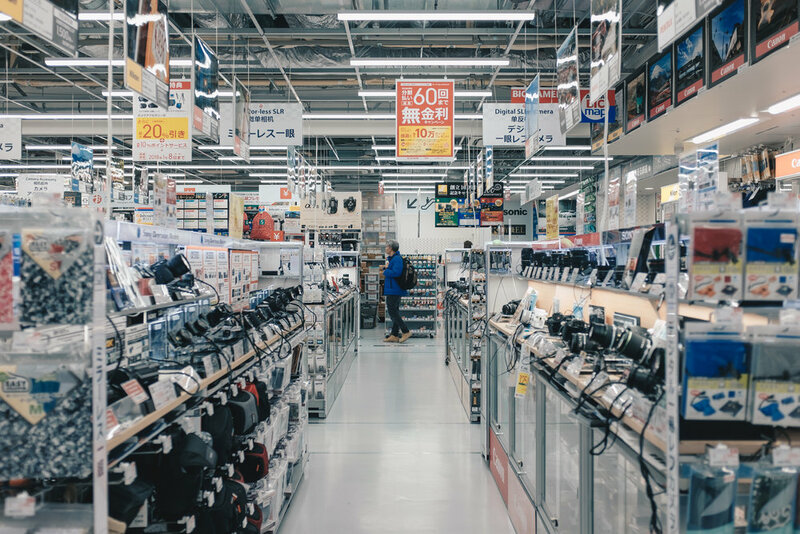 However, as Japanese department stores and other retail establishments start discounting products from Jan 2/3 onwards, this could be an opportune time to get some real shopping done. Similarly, if you’re going to take day or weekend trips from Tokyo, it’s wise to keep abreast of when you should/cannot visit these places. For example, Mt Fuji and Mt Asama are both closed to climbers during Winter. The Japanese Yen (JPY) is circulated via coins (1, 5, 10, 50, 100, and up to 500 yen). After which, notes take over (1k, 2k, 5k, and 10k). Most vending machines also accept 1,000 yen notes in case you don’t have spare change on you but still need that mid-day perk me up. Additionally, while we can't guarantee that your credit cards will always be accepted, you’ll likely be able to use your Visa/Mastercards to pay for goods and services at most of the city’s larger establishments. While the yen has been trading lower (relative to most currencies) in the past few years, bargain hunters should be wary as it must be said that splurging at upscale restaurants can still cost you a pretty penny. Nevertheless, affordable bites aren't hard to find. The Japanese are extremely proud of their language. Hence, it is likely that you will not find widespread English fluency whilst interacting with locals. This gets worse as you go further out from the city as many are reluctant to pick up foreign languages. While the Japanese language can be written in 3 scripts, most writing is still dominated by the original ‘Kanji’ script - which is essentially an adaption of the Chinese ‘Hanzi’. As such, people who are able to read Chinese (in whatever capacity) should be able to deduce some meaning from kanji text. In addition to ‘Kanji’, ‘Hiragana’ and ‘Katakana’ make up the other 2 scripts but have their own distinct characters and are mainly used as supplements to convey more advanced ideas or to account for words imported from foreign languages. However, don’t be surprised to see restaurants or shops with products or signs fully written in -kana script. Nevertheless, Tokyo's directional signs and notices especially on the city's famed subway will always sport an English translation. The city is served by two world class airports, Haneda and Narita. Between them, they serve about 116 million passengers annually and is the world’s third busiest metropolitan airport system. Haneda is usually the better option for most travellers due to its proximity to the city and the fact that it sports a relatively new international terminal. Domestic flights to secondary cities in Japan also usually depart and arrive at Haneda. In contrast, getting to and from Narita is costlier and takes up more time due to its distance from downtown Tokyo. Both airports are nevertheless well served by multiple rail connections to the city. From Haneda, you can choose between the Keikyu Line or the Tokyo Monorail for a zippy journey into Shinagawa (JR Yamanote) or Sengakuji (Tokyo Metro). Narita's rail links to downtown Tokyo are more extensive - tourists can choose between the Narita Express, Keisei Skyliner or the regular Keisei Line. Taking a bus from both airports is also a good option especially if you're staying at any of the ‘big chain hotels’ in the city. Taxis are generally a no-go (especially from Narita) as they are exorbitantly expensive - unless you're travelling for business. As a rule of thumb, always choose Haneda unless ticket prices or schedules require otherwise. The biggest sticking point of Tokyo’s subway system is its complexity - just take a look at any map of Tokyo. The system is dominated by two main operators - Tokyo Metro and Toei Subway - operating 13 lines between themselves. While you’d likely stick with these 13 lines, some travellers may end up utilising other ‘ancillary lines’ like the Odakyu Odawara, Keio Inokashira and JR Yamanote/Chuo Lines as these services call at interesting stations outside the usual Shinjuku, Shibuya and Marunouchi areas. If you choose to venture further, your options won’t be limited. In all, there are 121 passenger rail lines that serve the Greater Tokyo area with many extending further out into the surrounding prefectures. Paying for these journeys isn't hard and can be done via the many contactless payment cards available in the city, most notably the Suica or PASMO cards. While it’s normal to have some form of anxiety about the metro’s complexity, I’d wager that its complexity is also simultaneously, its strongest suit. Travelling on the metro can be a very comforting (and eye-opening) experience. Stations and trains are clean, directional signs are clear and aplenty, and most importantly, trains strictly run on time. Not convinced? A train operator in Tokyo recently apologised for causing a ‘severe inconvenience’ to passengers because (and get this) it left a station 20 seconds AHEAD of schedule. Timeliness in Japan is on a whole other level. However, the Tokyo Metro does not operate 24 hours a day - services usually end around midnight and only begin at 5am the next morning. The only exception to this occurs on Dec 31 when trains operate limited services throughout the night to support the annual Hatsumode. There are also other transport options available though none can really match up to ease and efficiency of the Metro. Buses are often way more confusing for tourists while Taxis are extremely expensive. The Japanese are extremely mindful of their actions and how it may affect others. Pay attention to these especially if you're visiting Tokyo for the first time. For example, they don’t usually smoke outside designated areas and definitely not on trains. Districts like Shibuya, Shinjuku and Chiyoda have already put in place extensive smoking bans and Yuriko Koike, (the current Governor of Tokyo) plans to enact even more restrictions on smoking throughout the city. As trains are considered public spaces, talking loudly or listening to music with speakers are major faux pas that will earn you the ire of other commuters. Once there, do yourself a favour and observe how the Japanese wait for trains - you'll soon realise that no matter how crowded station platforms become, there will always be a high degree of orderliness. 5 stars. While the consumption of food or beverages is not prohibited on public transport, the practice is generally frowned upon except on the Shinkansen or on other regional train services. In fact, one cultural quirk of the Japanese is that don’t eat or drink on the go and as such, don’t be surprised by the fact that the city has a dearth of public bins. Don’t even think of littering - keep your trash on you until you get back to your hotel. Other everyday things like talking on the phone whilst walking can also be considered as cultural gaffes, but we think that these are a little less egregious than the others. The Japanese have a very strict code to adhere to when it comes to keeping their houses (and shops) clean. Fitting rooms come equipped with a very plush carpet (which they really don’t want you to dirty) and is accompanied by thin translucent fibre sheets that act as ‘face covers’ to prevent makeup from transferring onto the clothes when people try them on. We think that this is a novel solution to prevent concealer and foundation stains from appearing on clothes even if it means one has to contend with the added hassle. If you're visiting someone's home and see a level difference (or a small step) at the entrance, that’s your cue to take off your shoes. Oh and on that note, because you’re likely to take off your shoes whenever you enter places like dressing rooms or even some sections of restaurants, take note that your Spongebob covered socks will like not be appreciated in its full glory. Japanese society probably has world's strongest stigma against people with tattoos. This is not for what tattoos are intrinsically, as Japanese art also feature similar designs, but because they have become associated with the type of people who sport it. Tattoos are the most symbolic and evident means for Yakuza (read: mafia) members to identify each other, and also acts as a way for members to literally ascribe their personal allegiances onto themselves. There's no real way to circumvent this as we both know that both your tattoos and Japan's cultural rules aren't going away anytime soon. Hence, expect that you will be politely declined entry into establishments where clothes are meant to be taken off. Examples include onsens and swimming pool. That being said, don't think that this specific aversion towards counterculture means that Tokyo skimps on nightlife. Tokyo has districts that cates to every interest and lifestyle imaginable. And most people quickly realise that there's not enough time to cover all the things to see in Tokyo. Nevertheless, here are some of the best places to visit in Tokyo. Ginza and Omotesando’s high-street is a world on its own and is poised to give you a healthy dose of luxury shopping. Nakameguro is the definitive go-to for independent retail. Megadistricts like Shinjuku and Shibuya fill everything in between, just as you’ll find that great food can be found anywhere in the city. 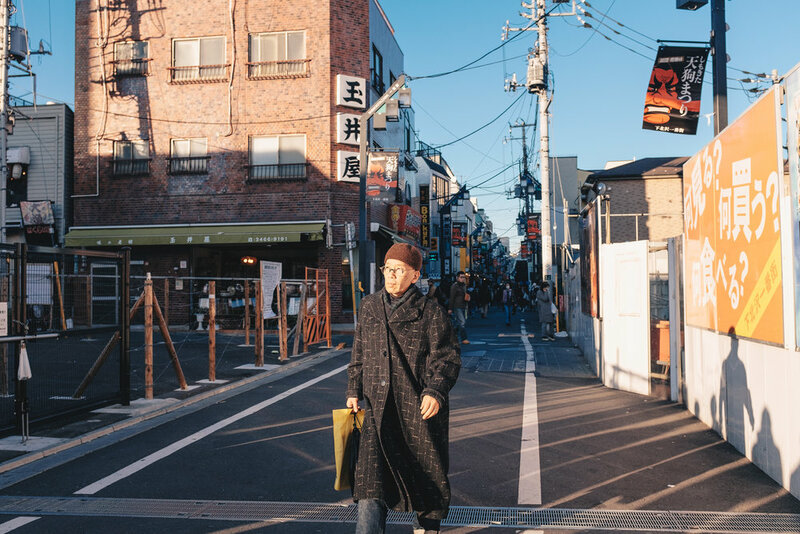 Not worried about being eclipsed, Shimokitazawa is the city's 'hipster town' and is leading the world's vintage streetwear revival. As mentioned, Tokyo is home to a mind-bogglingly high number of temples. Of these, Meiji-jingu, Yasukuni Shrine and Sensoji Temple are amongst its most revered and visited. The entrance to each temple or shrine is (usually) marked by a large Torii gate, and it is customary to bow under it while entering or exiting the shrine as a mark of respect. There are no entrance fees and you’d likely won’t be jostling with other visitors especially if you’re visiting on a weekday. Instead of a Torii gate, Sensoji has the Kaminarimon gate instead and this unique facade (sporting a red lantern) is what has made the shrine a must visit for many tourists. Meiji-jingu is housed in a sprawling park complex with wide boulevards and towering trees that is bound to awe any visitor. Perhaps for other more controversial reasons, Yasukuni Shrine also occupies an importance place in Japanese society. All of Japan's war dead are enshrined here, including (controversially) some high ranking officials of the Japanese army and government during the WW2 period. There are also other smaller places worth a visit if you have the time - Nogi Shrine and Zenokokuji (and district of Kagurazaka around it) are just some examples. The ease and efficiency of getting things done is perhaps something Japan is best known for the world over. Sitting at the forefront of this quiet leadership in high-quality convenience (you'll know what I mean if you visit), are the country's depachikas and konbins. Depachikas or 'department stores' are one-stop centres for anything you could ever need or want to buy, be it the newest capsule collection from the homegrown label Y3 or boxes containing foods from the latest food craze (those cheese biscuits are great). Department stores like Isetan and Takashimaya have excellent food halls, firmly establishing themselves in the capital as purveyors of high quality fresh and packaged foods. Look this up - not only does the food look stunning, it also tastes phenomenal, which is probably the reason why many a tourist’s loot has not made it back home intact. Once you’re done with your food haul for the day, head upstairs to experience how the Japanese have managed to master the art of high fashion. Tokyo's retail scene and appreciation for luxury goods is often heavily influenced by the curatorial expertise of stores like Shinjuku Isetan, Nihombashi Takashimaya and Ginza Mitsukoshi. Shoppers have high expectations and these stores don't want to disappoint. Expect all of the world's leading fashion labels from Gucci to Moncler. Younger shoppers also won't be disappointed as high-street brands often rub shoulders with streetwear brands like Gosha Rubchinskiy. Not to be outcompeted, perennial Japanese favourites like Commes de Garcons are often the most lavishly presented and bought. As the other piece of the puzzle, we have city's konbinis - legendary stores located on every possible street corner. These store stock anything one could possibly need no matter the hour of day from alcohol in a hundred varieties to food ranging from small rice balls (nigiri) to full fledged meals (Western and Japanese included) and everything in between - heat packs, face masks, shampoo and even socks. Even if you're a coffee snob, Japan's convenience stores stock world-class instant and canned coffee. Many stores also have areas for you to sit down and enjoy your food or hide from the cold - these are also usually equipped with microwaves, ATM machines and even photo printers. Japan's Izakayas are the penultimate proving grounds for friendships, relationships and business deals. In its smokey interiors you'll find a tasteful Eastern version of the British pub or Spanish tapas joint with beer on tap and grilled skewers on call. If you’d like to experience the very best of dining culture in Tokyo, Izakayas are an immersive and affordable way to hit the mark. This is definitely a Tokyo 'must visit'. While you'll be able to find Izakaya places in any part of the city, head over to Shinjuku Omoide Yokocho, Golden Gai, Kichijoji or Shibuya for a more lively atmosphere (and wider range of choices) - they're all spawning grounds for a good time. Don’t however, be too squeamish while eating at Izakayas because chicken liver, intestines and goat heart skewers are just as commonly ordered as more ‘normal’ ones. Oh, and don't skip the quail eggs, they are life-changing. While you may have heard about a vintage revival in Singapore, let the team over at Death Threads show you what it really means. Whether you're taking a stroll through leafy Omotesando, the hilly backstreets of Dogenzaka or even the high rise boulevards of central Tokyo, this city is bound to please. Then again, you've probably already seen beautiful illustrations (and opinion pieces) of these places, which is probably yet another testament to the tried and tested formula that is Tokyo. To this, we say kudos to Japan's Tourism Board. If you're looking for more information, check out this local Tokyo travel blog. Japan has come a long way since its opening up just 150 years ago and it is not an understatement to say that the city has something for everyone. Tokyo hates to disappoint. As the city looks towards hosting the 2020 Olympics (it last did so in 1964), we've found that despite being a stately capital, Tokyo still holds in it, all the quirks of modern urban living. Day tours from Tokyo are also aplenty, whether to the neighbouring Yokohama or the beautiful shrines and parks of Saitama. Further afield, weekend trips from Tokyo include a visit to Mt Fuji or the more relaxing hot springs in Izu. While other cities may have one defining Magnum opus, visitors to Tokyo unanimously find it hard (even impossible) to single one out. But one thing's for sure - no matter your persuasion, Tokyo continues to enthral and lure visitors in year after year - hook, line, and sinker. Tokyo is calling out your name - head over to Travelcene Deals to score the best deals on flights!